CDC is located in Downtown San Diego and although we do not provide parking for students attending our courses CDC is surrounded by plenty of locations for parking to fit any parking budget. We are blocks away from the San Diego Amtrak/Coaster station and in addition we are located along the San Diego trolley route stop at the civic center. 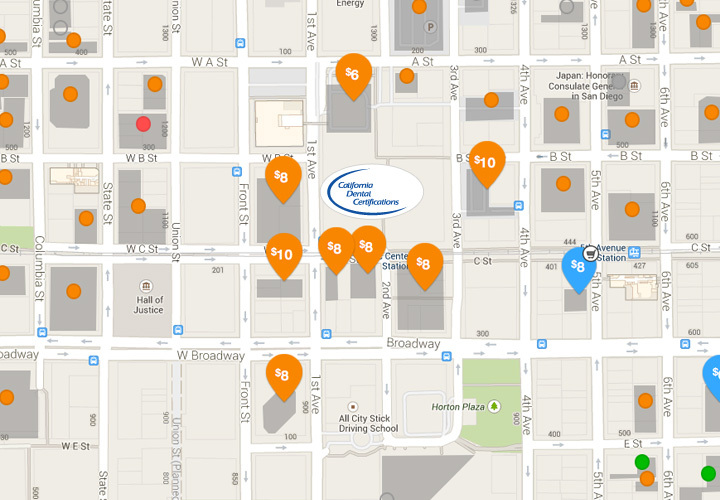 Click on the map to view available parking and pricing. Stay up-to-date on all the latest courses, requirements, and specials.